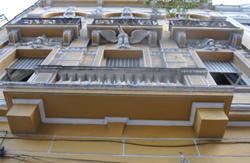 Our Hostel offers an 8 people dorm-room on the top-floor, one 2-bed bedroom, two 3-bed bedrooms, two 4-bed bedrooms and a´Honeymoon-Suite´ for two people. The Hostel has a fully equipped kitchen, a living room with television and DVD, a pool table, a wide range books and games, and wireless internet for the whole house. Our guests can chill on the 100 sqm sun-exposed terrace, overlooking the ocean and a jungle garden. You can spend the night either chilling in the hammock or with other guests in the cosy private bar. 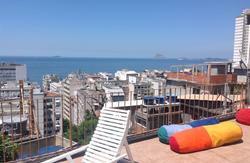 Start the next day on the terrace enjoying the famous beautiful sunrise of Rio. 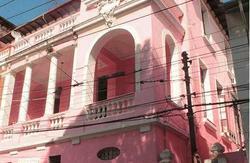 We offer guided tours to various sights in Rio, especially of the beaten track. Our ´Barcrawl´ is unmatched in Rio, as it’s completely for free and interactive. 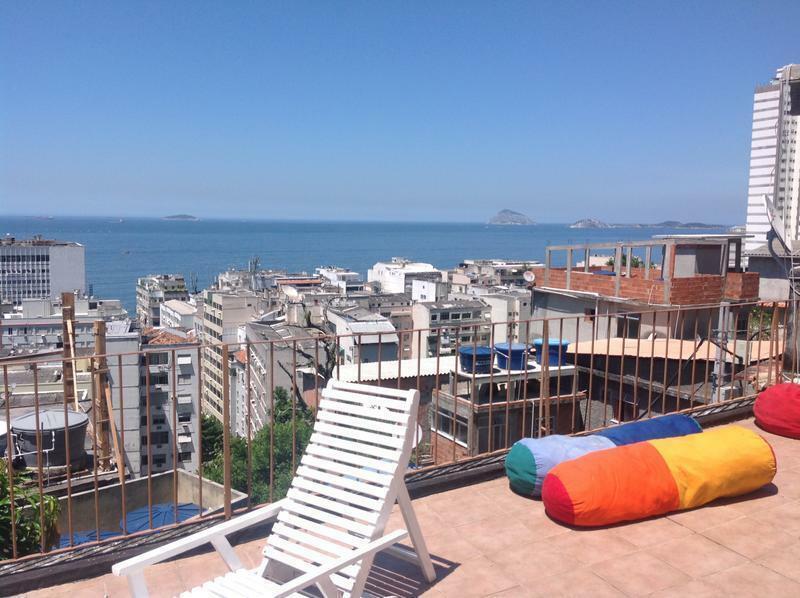 It’ll take uphill into the Favela, passing known film sets, to bars and bodegas overlooking whole Copacabana, to places you feel like in the middle of the jungle. Come to enjoy the hospitality of the local people and have some beers with the real Cariocas. Coming out of the airport you will see lots of taxis, which can bring you right up to the house for ~ 50 rs! or you can take the bus (which waits for you in front of the airport as well) to the south zone (zona sul) and costs ~ 6 rs. You must tell the bus driver that you want to get off in front of the Meridien hotel in Leme. From there you simply follow the 'gustavo sampaio' road until you come to the crossroad 'anchieta' (2nd street). Go left until the end, then turn right and follow the street till you see the 'mototaxi' motor bikes they can bring you up the hill to Casa 35 for 1,50 rs and here you are! Either with a taxi, which waits outside the station and will cost you ~30 rs and brings you right up to the house! Or with the bus which waits for you on the opposite site of the street coming out of the station, you have to walk around the fence to get to the bus with the nr 2011 to LEME. You get off the bus at the final stop. From there you walk the 'avenida atlantica' towards copacapana until you get to the 'anchieta' crossroad. Turn right and walk to the end and then turn right again and follow the road until you see the motor bikes (mototaxi) which will bring you up the hill to casa 35 for 1,50 rs, and here you are!